Sometimes being a superstar DJ isn’t all it’s cracked up to be. Erick Morillo may have sold millions or records worldwide and played at some of the biggest venues on the planet. 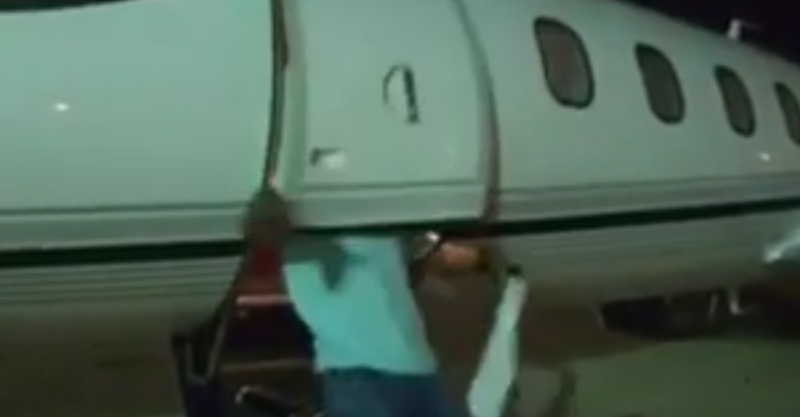 But he hasn’t quite mastered climbing off his private jet smoothly. In this Facebook video by BLOVE the Colombian-US producer and DJ is being filmed after landing – apparently in Brazil. The plan, we guess, is to disembark like a legendary house icon should. The first take isn’t cool enough, so he has another attempt. He probably wishes he hadn’t bothered. The plane door slams shut as he climbs out and, while his entourage struggle to stifle their giggles, poor old Erick is briefly trapped. The vid has already had more than a million views and Facebook users don’t seem to have too much sympathy.